As we mention from time-to-time, our West Seattle emergency communication hubs are part of a network of Seattle-area emergency communication hubs. Leaders from our WS organization meet monthly with those from other neighborhoods and with the Seattle Office of Emergency Management to discuss issues, plan events, and standardize procedures and materials. 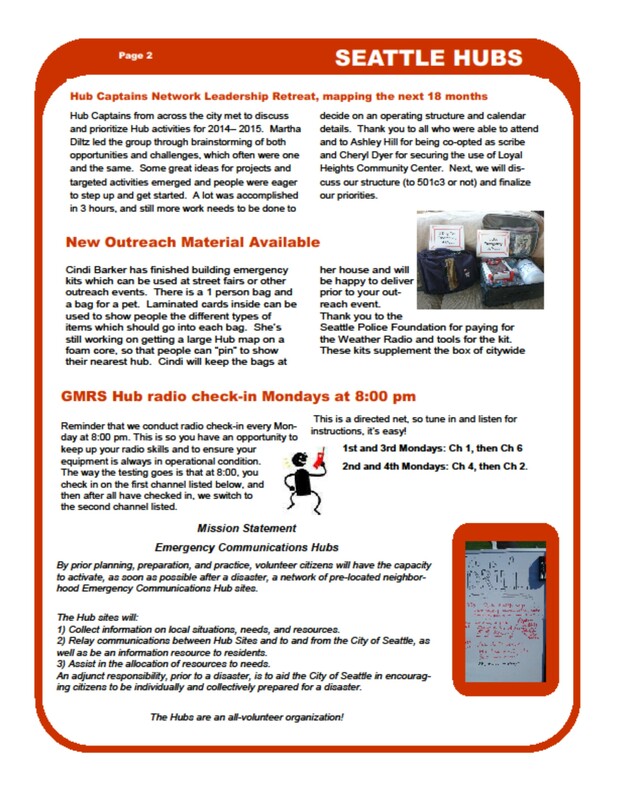 Below is the latest Hub News, as prepared by our group’s Cindi Barker. 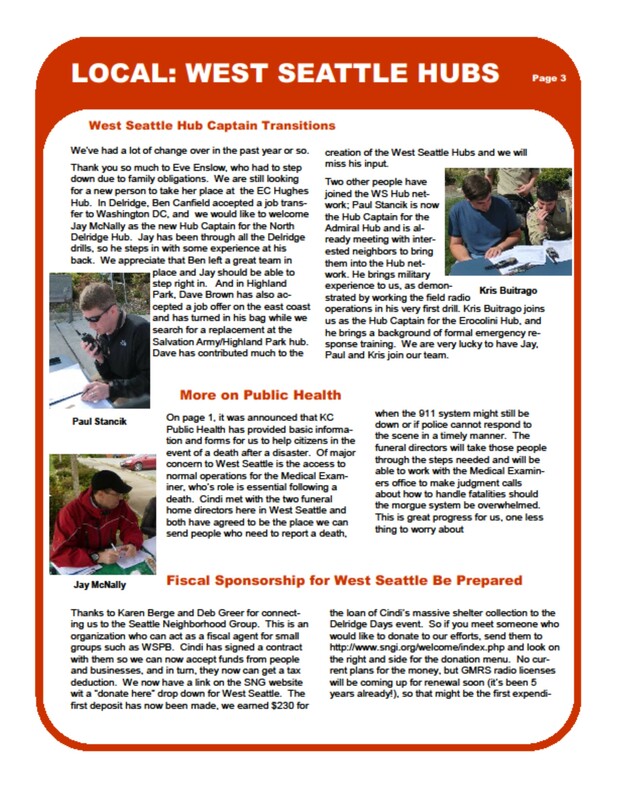 Note, the first portion contains information pertaining to the broader region; the last portion pertains to West Seattle. Thanks, Cindi! 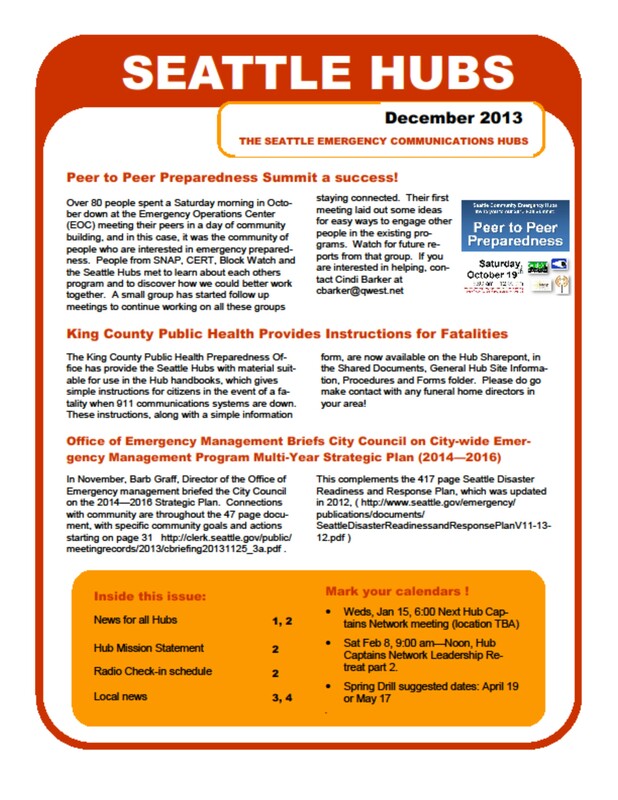 Hub Newsletter Dec 2013 (printable 4-page .pdf file) – The individual pages are shown in .jpg format below. FYI, West Seattle currently has 11 hubs; there are 35 in total, with more to come soon! 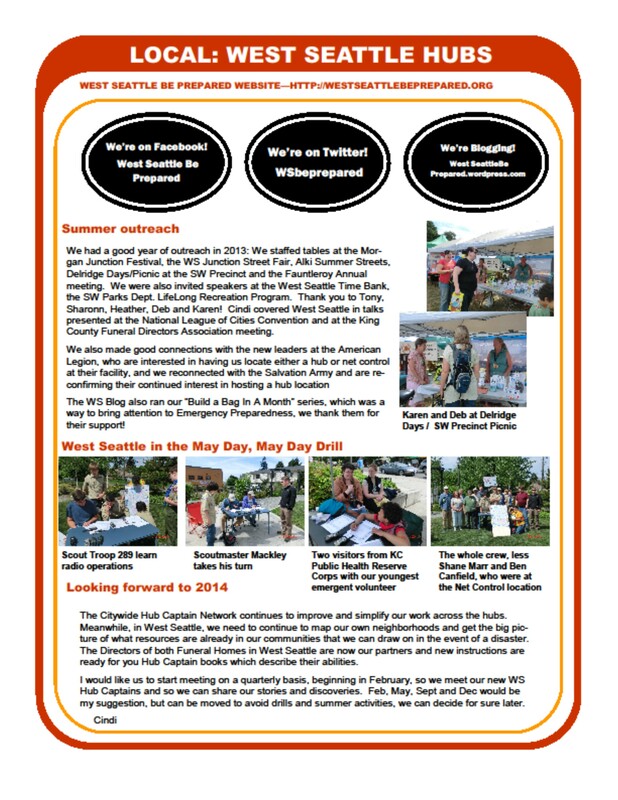 Visit the About the Hubs section of our website for maps and more information. Please contact us if you have questions or would like to get involved! This entry was posted in West Seattle Be Prepared and tagged Seattle, Seattle Emergency Communication Hubs, Seattle emergency preparedness, West Seattle emergency communication, West Seattle Emergency Communication Hubs. Bookmark the permalink.